A stoppage time penalty from captain James Tavernier provided Steven Gerrard and Rangers with some much-needed breathing space as they eked out a hard-earned first leg advantage in their Europa League first qualifying round tie against Macedonian side Shkupi. Gerrard’s first competitive fixture in charge of the Ibrox club saw them toil for long spells in front of a sold-out home crowd after Jamie Murphy had given them the lead in the first half. It looked as if it would be a repeat of the slender 1-0 lead Rangers took into the return leg of their tie against Progres Niederkorn at this stage of the tournament last year before slumping to a humiliating 2-0 defeat in Luxembourg. 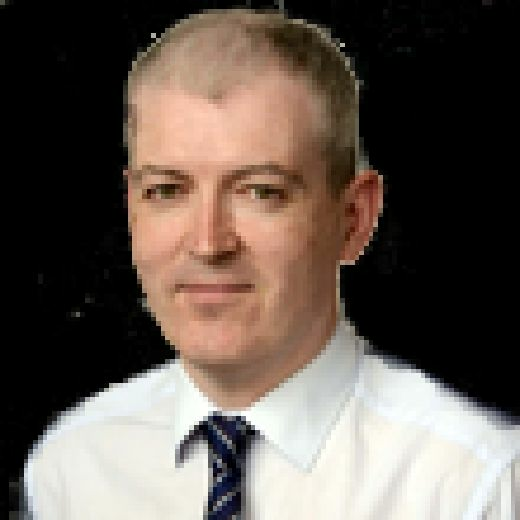 But Tavernier’s spot-kick should have provided enough insurance for Gerrard to negotiate a potentially draining assignment in the heat of Macedonia next Tuesday as he looks to get his much-hyped tenure off to a positive start. Murphy’s goal was both welcome and well-timed from Gerrard’s perspective, coming as it did at a point midway through the first half when his team had appeared to be losing just a little of their momentum after a bright start. 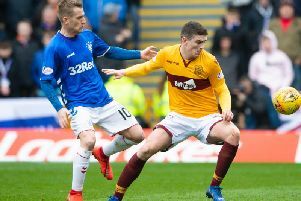 It was little surprise that Murphy was the man to make the breakthrough, the winger having looked the likeliest of Rangers’ attacking players from the opening moments. He found himself on the end of their first chance of the evening in the ninth minute after Shkupi goalkeeper Suat Zendeli managed to parry a dangerous Daniel Candeias cross away from his six-yard box under pressure from Alfredo Morelos. The ball broke into the path of Murphy who dragged a low shot just wide of Zendeli’s right hand post. Rangers threatened again three minutes later when Tavernier burst down the right and whipped over a low cross which Zendeli did well to gather, again at the feet of the menacing Morelos. Gerrard was fully suited, booted and business-like in the technical area, in contrast to his more relaxed demeanour and informal attire for the previous Friday’s friendly against Bury. He looked satisfied with Rangers’ early efforts but the mood changed slightly when Shkupi came agonisingly close to taking a shock lead in the 14th minute. Basilio Nchama, their lively Equatorial Guinea international midfielder, beat Tavernier down the left with a neat turn of pace before cutting the ball back into the path of Blagoja Ljamchevski whose dipping shot from around 20 yards clipped the top of Allan McGregor’s crossbar. The visitors took confidence from their near-miss and suddenly Rangers looked less fluent as they found themselves with some defending to do. But it was from a counter-attack started deep in their own half that Gerrard’s men took their 23rd-minute lead. Tavernier won possession and played a one-two with Candeias before surging down the right. The Rangers captain’s low cross into the penalty area picked out Murphy who steadied himself before steering in a left-foot shot which Zendeli, badly at fault, could only help on its way into the net. The goal settled Rangers and Zendeli redeemed himself a little when he kept out a close-range header from Josh Windass as the hosts sought to press home their advantage. Blazhe Ilijoski found his way into the German referee’s notebook for a cynical foul on Murphy who continued to cause problems for the visitors whenever he got on the ball. He was well supported down Rangers’ left flank by Jon Flanagan and the former Liverpool full-back came close to doubling the lead when his deflected shot from just outside the box was well saved by Zendeli diving to his left. Connor Goldson and Morelos both missed decent headed chances from close range in the closing stages of the half. There was certainly no degree of comfort in Rangers’ lead and Shkupi again caused them some genuine anxiety at the back in the early stages of the second half. When McGregor dealt unconvincingly with a free-kick from Muarem Muarem, he conceded the first of three successive corner kicks for the visitors with Rangers scrambling at the back. From the last of them, Ilijoski flicked the ball just over the top after winning it all too easily at the near post. That prompted Gerrard to make his first change of the night, replacing Candeias – who had been booked for a senseless challenge on Ron Broja – with Ryan Jack. Rangers duly forced their way back onto the front foot and wasted yet another excellent headed opportunity when Windass got underneath Tavernier’s fine cross and directed the ball over from close range. Liverpool loanee Ovie Ejaria replaced Scott Arfield as Gerrard tried to inject fresh zest into his midfield which had become increasingly bogged down, before playing his final card with the introduction of teenage winger Glenn Middleton for Windass. Rangers lacked the necessary imagination and incision to break down a dogged Shkupi side now content to sit in and protect what would have been encouraging position for them going into the second leg. But they were finally breached again in stoppage time when Amir Bilali was judged to have fouled Murphy from behind inside the box. Tavernier stepped forward to emphatically convert what could prove a crucial and decisive penalty kick in the tie.